I am really looing forward to this movie. My husband and I rarely get out to see movies but I am going to make sure we make it to this one. It has something for everyone! 2. Super hunky male characters – Check and double check! 5. Uber hot male actors showing their muscles – ok, similar to #2 but there are many of them so it warranted a second CHECK!!! 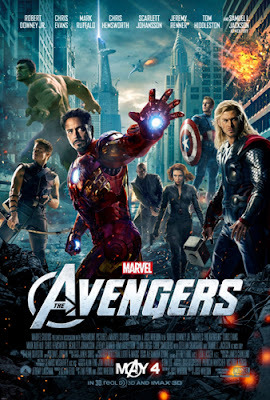 Connect with Marvel’s The Avengers now and be ready for the May 4th opening!